As of 2016, Mexico's exports and imports were already in a two-year decline since experiencing its all-time high in 2014. From US$ 396.9 billion, exports dropped to US$ 380.5 billion in 2015, and further dropped to US$ 373.9 billion the following year. Similarly, from US$ 394.0 billion in 2014, down to US$ 395.2 billion and US$ 387.1 billion in 2016 and 2017, respectively. 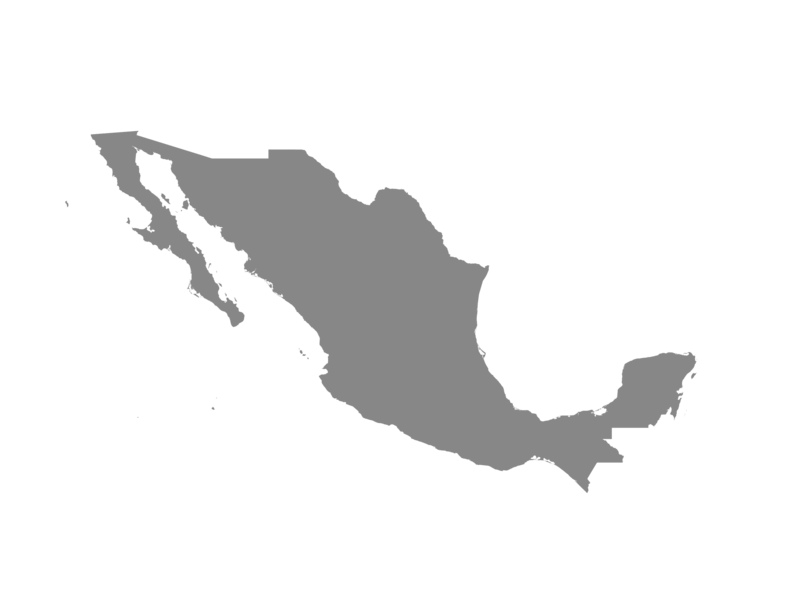 Mexico exported a total of 4,212 products to 203 countries and it imported 4,457 products from 223 countries, in 2016. Most of its exports were machineries and electronics (36.9 percent) and transportation (24.7 percent). Fuels made up 4.8 percent, followed by metals (4.2 percent), vegetable (3.8 percent), food products (3.0 percent), stone and glass (3.0 percent), plastic or rubber (2.9 percent), chemicals (2.8 percent), textiles and clothing (1.7 percent), minerals (1.2 percent), and miscellaneous (9.1 percent). Imports, on the other hand, were comprised largely of machineries and electronics (39.1 percent), while transportation was far below at 10.0 percent. Other import products include metals (8 percent), plastic or rubber (7.3 percent), chemicals (6.8 percent), fuels (6.5 percent), vegetables (2.9 percent), textiles and clothing (2.6 percent), wood (2.21 percent), and miscellaneous (8.9 percent). In terms of stages of processing, most of the exported goods were capital goods (49.2 percent), followed by consumer goods (29.8 percent), raw materials (10.2 percent), and intermediate goods (9.5 percent). On imports, capital goods (46.7 percent) also made up a large percentage of the total imports, followed by consumer goods (26.8 percent). Intermediate goods (18.6 percent) were relatively high compared with raw materials (4.5 percent). USA dominated the Malaysian exports by 81.0 percent. Other export destinations include Canada (2.8 percent), China (1.5 percent), Germany (1.1 percent), and Japan (1.0 percent). On imports, most products came from USA (46.5 percent), China (18.0 percent), Japan (4.6 percent), Germany (3.6 percent), and the Republic of Korea (3.5 percent). Service exports, in terms of balance of payment, amounted to US$ 31.9 billion, while imports amount to US$ 24.1 billion. Mexico's FDI inflows did not changed much from US$ 29.8 billion in 2016 to US$ 29.7 billion in 2017. Its FDI stock also only slightly increased from US$ 473.5 to US$ 489.1 billion. The country's major investors include the USA with 46.8 percent of FDI, followed by Canada (9.1 percent), Spain (9.0 percent), Germany (8.0 percent), and Japan (5.5 percent) at much smaller shares. Most of the foreign investment were on manufacturing industry at 45.3 percent. Transport and storage (10.8 percent), construction (10.3 percent), retail and wholesale trade (9.2 percent) and financial services (9.0 percent) were the rest of the main invested sectors of Mexico.